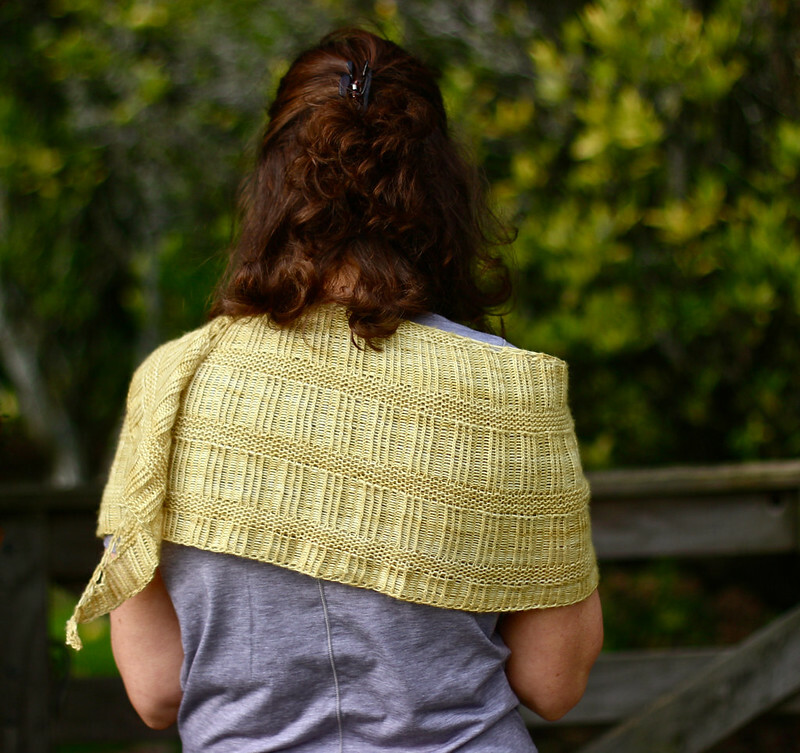 II'm really pleased to let you know that I've published my latest shawl design; Rattan Shawl. Rattan was inspired by the yarn itself. I've been savouring my last two skeins of beautiful Tosh Merino Light in my stash for some time. The first was a muted blue that turned into a Settler Shawl late last year. This glorious wheat coloured yarn (appropriately named Winter Wheat) told me in no uncertain terms it wanted to be something distinctly modern, with lines, structure and texture. Yarn often tells me what it wants to be. Does your stash talk to you too? I've learnt through trial and error that it's best to listen carefully to what my yarn is saying. It's much easier to work with that little voice than to try to mould my yarn into a design that's already in my head. I mostly wear my shawls wrapped around my neck like a scarf, with the ends hanging forward. I find that they stay on better, look stylish and keep my neck warm in cooler weather. My favourite shawl shape to wear in this style is a crescent shawl. I love how a shallow crescent shape gains in length what it looses in depth. When I wrap them around my neck I get the benefit of squishy layers of knitting stopping any draft getting in but also get the benefit of those long drapey ends hanging beautifully at the front. 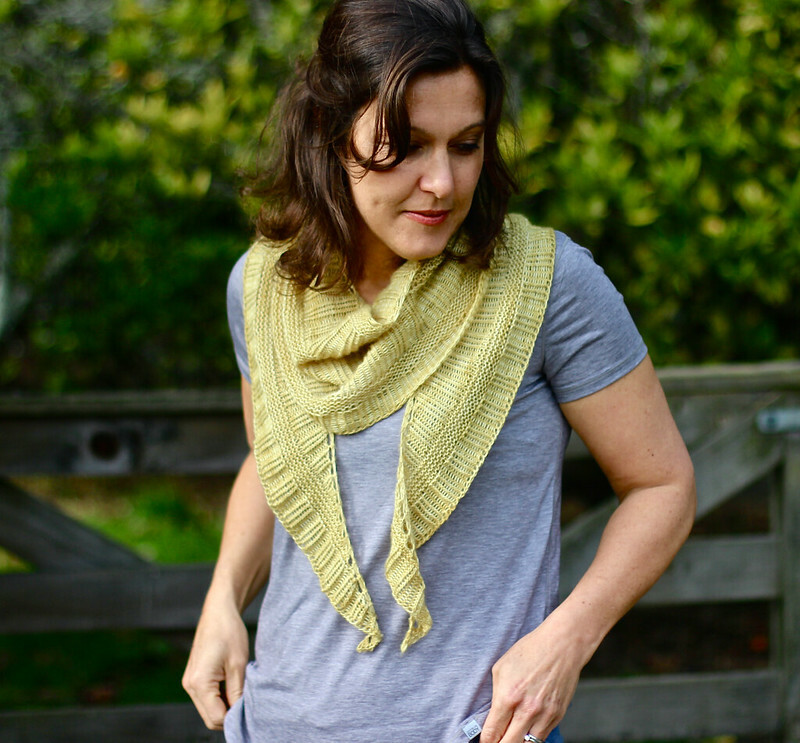 Rattan is a crescent shawl with lots of length and it's fabulous to wear. I've also included instructions to make it larger so if you want a bigger, even more fantastic shawl, you can do that really easily. 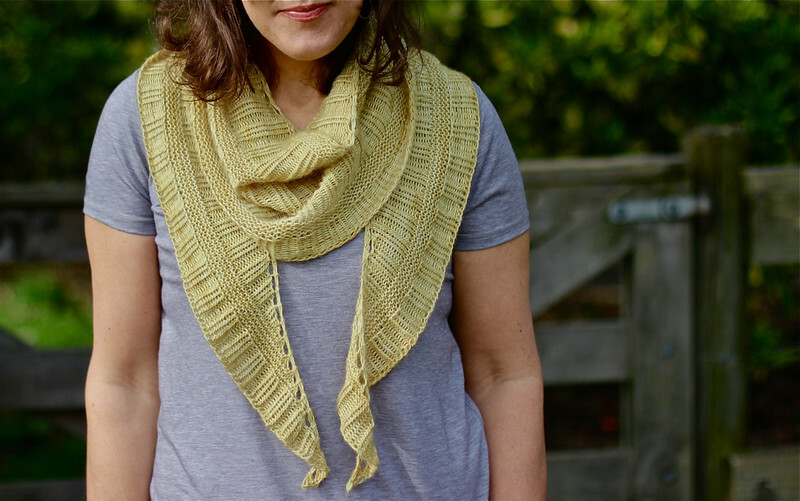 Rattan is a great shawl for knitters of all experience. It's full of familiar stitches; knits, purls and yarn overs and where I've used a new stitch, like KYOK - I've included a link to a tutorial to show you exactly how to knit it. The ribbed sections use twisted stitches. Twisted stitches create a really structured look which I love and isn't tricky to do. Instead of knitting or purling into the front leg of your stitch - you knit or purl into the back leg. 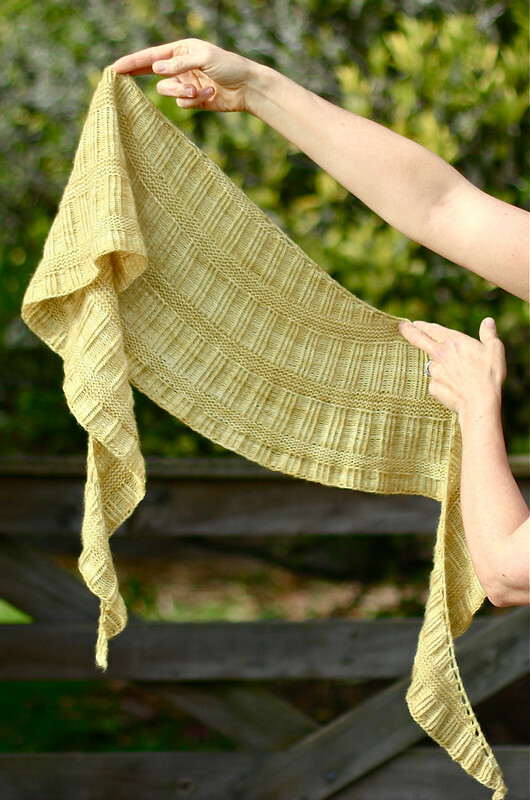 I've been hearing lots of questions about blocking shawls lately and talked at length about how I block crescent shawls in my latest podcast. If you're confused, hopefully this'll shed some light on the whole mystery of blocking! I am planning a blog series about blocking soon too. My Rattan Shawl pattern is available to buy now on Ravelry now. I do hope you enjoy knitting and wearing your Rattan Shawl - I love seeing photos of your Truly Myrtle projects - so send me a picture, tag me on Instagram or post a picture of your shawl in the Truly Myrtle Ravelry group. 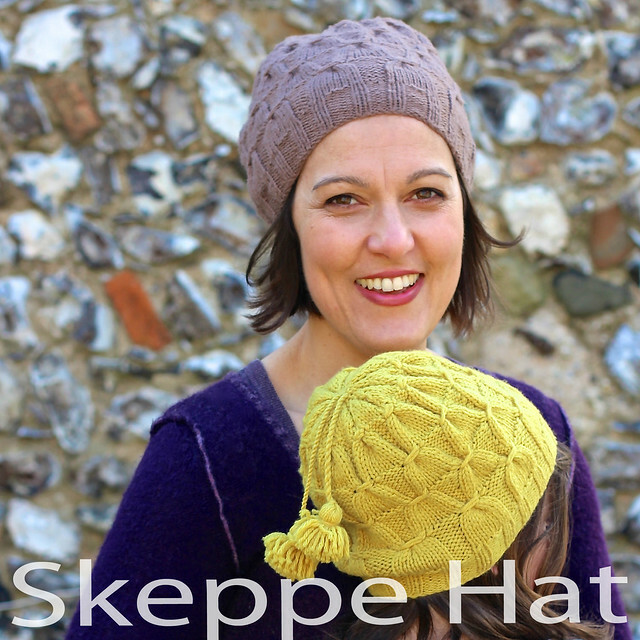 Skeppe Hat - Pattern Available! I'm excited (and a whole lot nervous!) 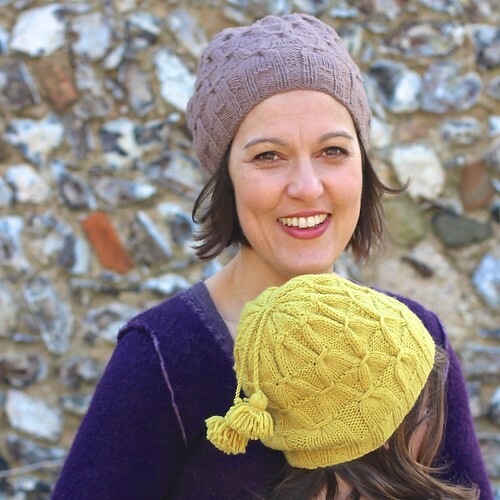 to tell you that my first proper pattern has been professionally edited (thank you Ruth! 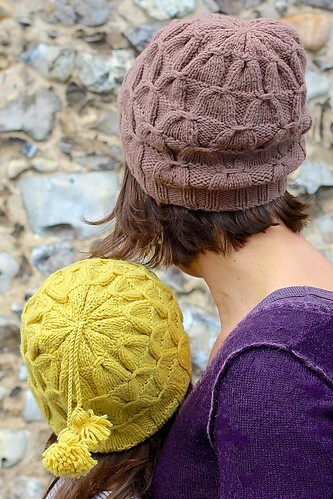 ), tested by a bunch of lovely knitters (thank you everyone!) and is now available to purchase! 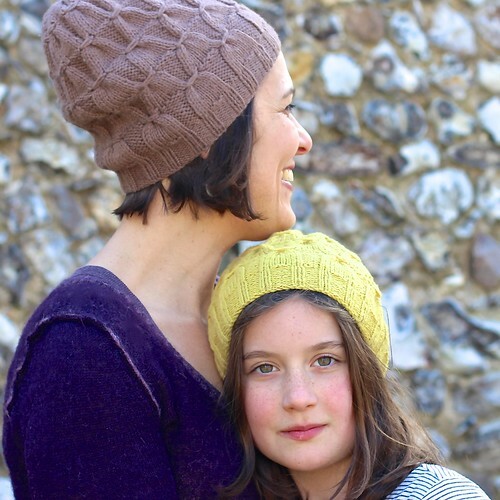 A cosy hat with a bit of slouch, Skeppe is the perfect hat for all the family, suitable for boys and girls, men and women. I love the tassles but you might choose to leave them off, or even pop a pom pom on the top instead! 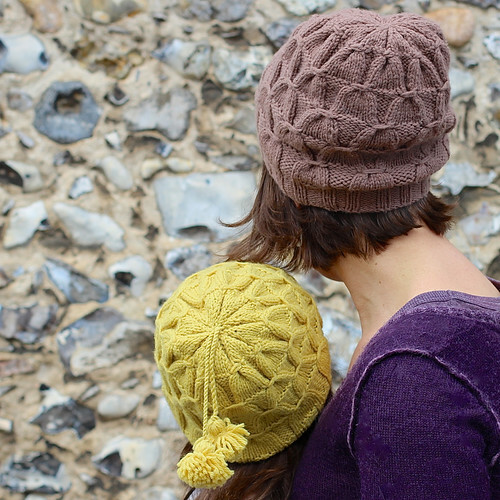 Ideal for the adventurous beginner knitter, Skeppe is a quick, enjoyable knit. If you can knit and purl, you can master this hat! 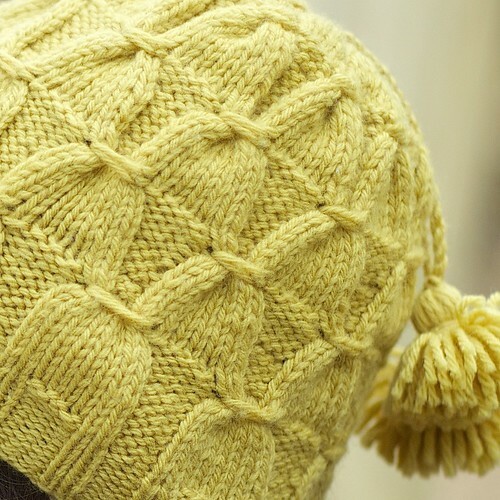 The "tassel stitch" pattern is really effective, simple to master and fun to knit. I love the way the ribbing flows effortlessly into the tassel pattern, and the way the tassel pattern flows into the crown shaping at the top. 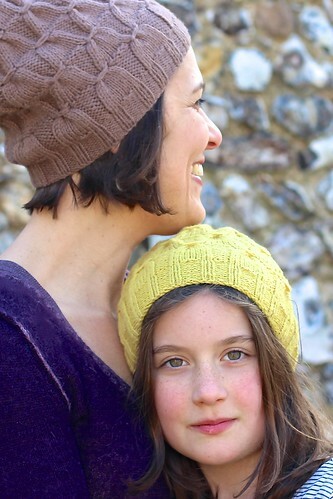 The two hats in my pictures are knitted in beautiful 100% wool, worsted weight yarns by Quince and Co. but you could substitute another worsted weight yarn of your choice. step by step instructions for the (optional) tassel and twisted cord. If you want to read more about my design process, I've written about it here. You might also like to check out some of my test knitters' projects for some inspiration and yarn ideas. There are some lovely examples of Skeppe! Skeppe is available to purchase on Ravelry. 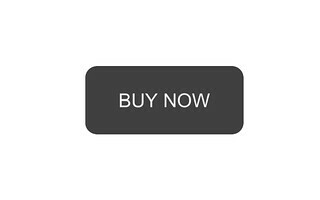 Just click on any of the photos above, or my fancy "buy now" button below. 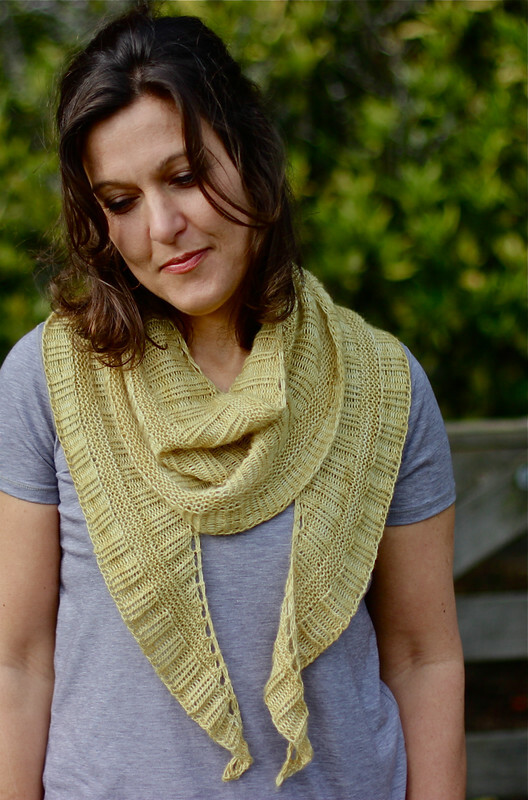 (You don't have to be a Ravelry member to buy patterns.) Happy knitting! I haven't participated in a meme for ages. Partly because it makes me vaguely uncomfortable to dedicate a whole blog post to talking about myself and partly because I've usually got a ton of other things I want to tell you. But, over the last week PixieSam from A Little of What you Fancy nominated me for a blog award and both Sue of Granny's World and Sarah from Sezza Knits tagged me in a game of (what I'm calling) "tell us five things about yourself" and that made me feel good, so I figured I'd better pass some of that goodness on. Plus, I've worked out a way to NOT make it all about me (you'll see). Ah, that feels better. 1. Although airports fill me with excited anticipation, I'm quite scared of flying. Mr Myrtle explains to me how and why it's safe and I hear the words but they don't make me feel any better. There is nothing fun about zipping along in a steel box in the sky. To be honest, the effort of taking four children from the UK to New Zealand on my own (to visit our families) is nothing compared to the nerves I have to manage while on board. It is all I can do to not reply "I have absolutely no freak'n idea, we probably will" to their endless question "why don't we fall out of the sky?". 2. Before I had children I was an Intellectual Property Lawyer. Don't ask me what that is. I purposely don't remember. 3. My third baby was born at home before the midwife arrived. Apparently it is officially called a "BBA" (Birth Before Arrival). More people have them than you realise. Mr Myrtle and I had to catch her before she hit the floor and, although I wouldn't choose to do it again, it was pretty awesome. 5. I finally finished writing up my hat pattern. I was tempted not to tell you because I'm so nervous. But, I thought if I slipped it in here at the end, you might not notice ... I'm looking for test knitters now. There are four sizes (Small child/Large child/Adult & Large Adult) and I'm after three tests of each size. If you're keen to test the pattern for me in the next few weeks, drop me an email at trulymyrtle (at) gmail.com, together with the circumference of the head you'd like to knit for. Sabrina who's going to take the world by storm one day, and whose lovely blog Wolves in London makes me giggle. Laura who takes absolutely beautiful pictures and shows us glimpses of the crafty country life I dream of, at Circle of Pine Trees. 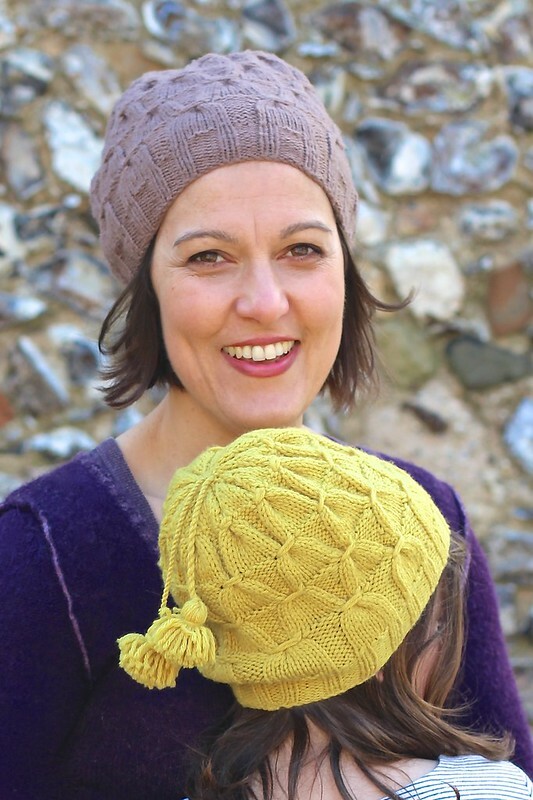 Sarah, who feels like a knitting buddy and blogs about knitterly things over at Crafts from the Cwtch. Looking forward to hearing about your new adventures into sewing Sarah! My denim was a 72% cotton/25% poly/3% spandex mix, but because I used a regular washing machine dye, not one specifically for polyester fabric, the colour turned out more washed out than pictured on the box. That's fine - it feels cheery and bright. A call for spring :) I decided I needed a little surprise to keep things interesting and you might recognise the peek of pocket lining as leftover Liberty print from my Outfit 1 dress. It's the first time I've used a Colette pattern. They're pretty neat. Everything comes in a fancy booklet with a pocket at the back for the pattern pieces. 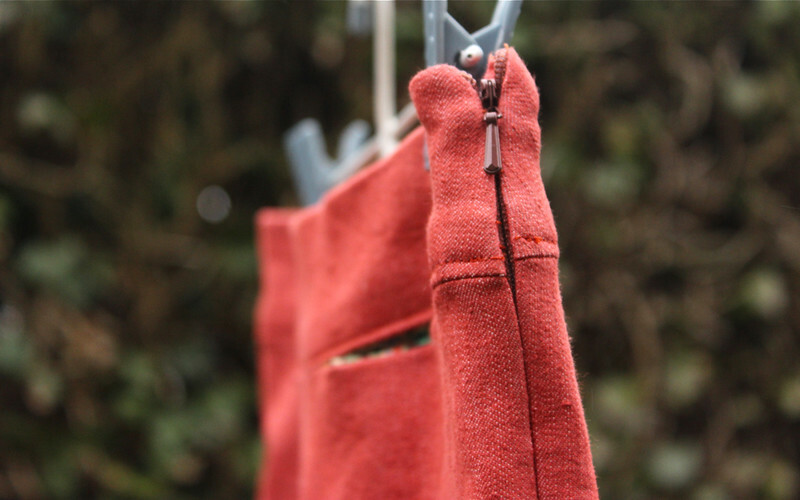 The instructions for the Clover trousers were comprehensive and Colette have also produced a series of blog posts for a Clover sew along that you can refer to every step of the way. My only niggle was that the pattern was printed onto tissue, included a ton of sizes and it was a bit tricky to descipher the size I needed to trace. I'm undecided about whether I prefer my sewing instructions printed in booklet form or on one large sheet of paper. The booklet kept flipping shut on me, but on the other hand, it was a handy size to grab. Okay, that last photo feels a little like I'm flashing you my knickers. That is one sorry zip. Look how the yoke seams don't meet and one side is higher than the other? Oh deary me. You'll have to believe me when I tell you my original zip was better. Remember, it broke? Well, take it from me, if you're cross, you perform sewing repairs at your peril. So what was the problem with my first zip? 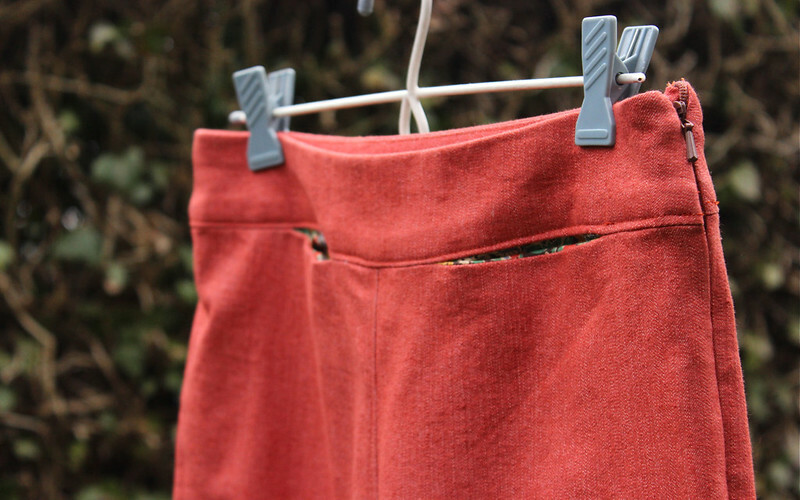 Admittedly, as I've adjusted them (and no thanks to Mr Myrtle's recent batches of delicious chocolate chip biscuits) these trousers are on the fitted side. But, I don't think it was that. My original zip was stiff as it passed over the seam for the yoke. A few hard yanks and the teeth gave in at that spot. While my new zip is better (I tried to cut out some of the bulk from my seams underneath and stitched my facing farther out so that it'd have a smoother run) it's still not great. 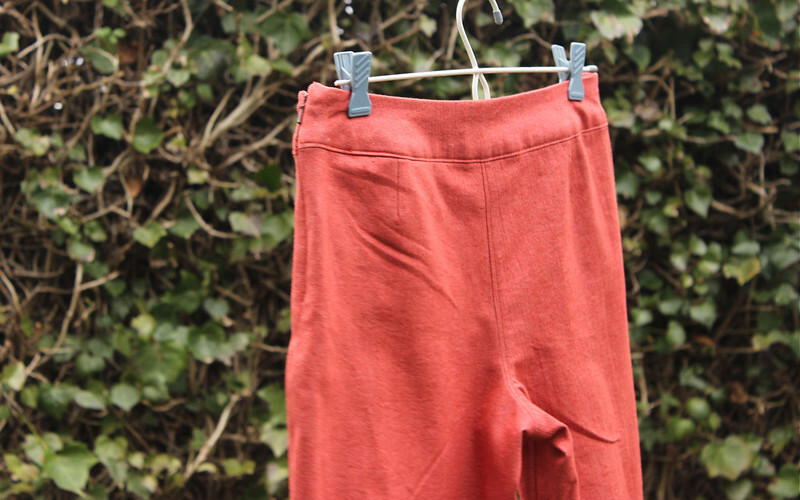 Has anyone else made these trousers? Or some like it? Did you have this problem? Do you think it might be the bulk of the denim that's creating it? Or just me?